Tele All Mountain courses run from Monday to Friday, except the January 2019 courses, which will start on Sunday and finish on Thursday. Tele Tracks telemark courses have a maximum group size of 6 people. All sessions are for a half day starting at either 9am or 1pm. Half day lessons allow time for practice or to rest for the following days telemarking. Tele Tracks courses can be booked as a complete package or just instruction / NTN Test only. Tele Tracks provide off-piste safety equipment including transceiver, shovel, probe and back pack. We are running all courses, on the following dates for winter 2018/2019. Unsure of your fitness level or want to get in shape for the course? Check our Telemark Fitness Tips for specific advice and exercises. Still unsure? Why not try a private lesson instead? 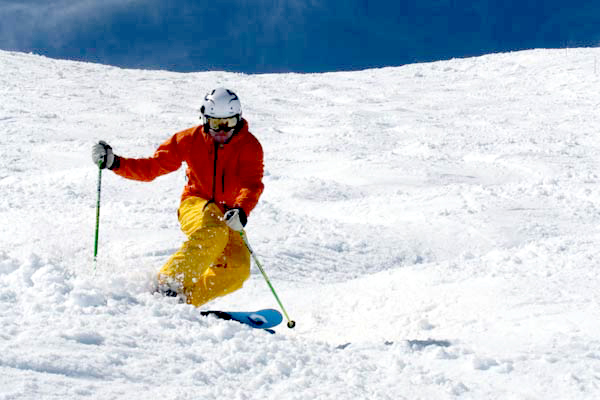 Private telemark lessons are geared specifically to your physical and technical level. Check out our Private Telemark Lessons for more details.